ALL PRICES ARE POSTPAID IN RELATION TO SHIPPING TERRITORY, YOU WILL NOT BE CHARGED EXTRA SHIPPING AT CHECKOUT. 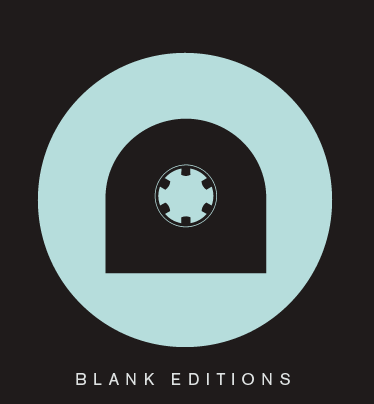 Truly thrilled to welcome our friends, Ice Baths to Blank Editions with their brilliant self titled debut album. London based Ice Baths take influence from cult heroes such as Swell Maps, Television Personalities, Devo, US Maple – all restless energy and angled aggression. Lyrically there is a bleakness and darkness, though the band prefer the listener to reach their own conclusions as to lyrical themes. “They centre on feelings or imagery that can be dreary, dark, difficult and abstract. We deliberately pass the buck to the listener to pick out certain moods or feelings” explains the band (Alex Ives, Thomas Cleall, Ed Shellard & Jack Davis). The production process was not simple nor was it smooth. The band had a very clear idea of how they wanted the record to sound and that included a long, pain-staking period where ideas were scrapped and reworked. “It was an absolute challenge, we were very picky about how to get the sound we wanted. It led us to mixing the record ourselves. We wanted the record unpolished and raw, hissy, trebly, bitty & a bit uncouth” says Alex. To achieve the desired effect, the album was recorded on a selection of different Tascam tape machines – a move to retain the grittiness of early demo’s as well as the spike their live shows are known for. Ice Baths have been on the London circuit for a short while now, they’re a notoriously tight live band but now they are ready to take the next step. - Special edition of 30 copies have a small label embossing, Stamped back cover and will include an additional hand numbered A3 Art print.